Many of us were surprised when Apple’s iOS 5 wasn’t at least mentioned at the Cupertino outfit’s iPad 2 event last week, but MacRumors reports that we could be in for a whole new media event as soon as April. Citing German site Macerkopf, Apple is expected to hold an event at it’s San Francisco headquarters next month to show off the new MobileMe alongside iOS 5. 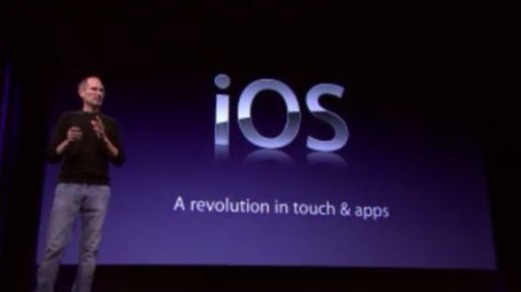 The reason for a MobileMe and iOS 5 sharing an event could be a deep integration between the two. Rumors of a cloud-syncing service for iTunes music have been doing the rounds for some time now, as have claims that the next point-0 release of iOS will receive a complete overhaul of the way iDevices handle notifications. Rumors of advanced cloud-integration have been closely linked with yet more noise about a possible iPhone Nano, though that is looking increasingly unlikely. Obviously Apple is keeping its cards close to its chest, though iOS 5 will need to be shown off to developers sooner or late, with an iPhone 5 expected in the coming months.